Roofing materials are required to give a long life, be aesthetically pleasing, be easily and economically applied, require little or no maintenance and be environmentally friendly. Copper, stainless steel, aluminium and zinc embody these qualities better than any other material. 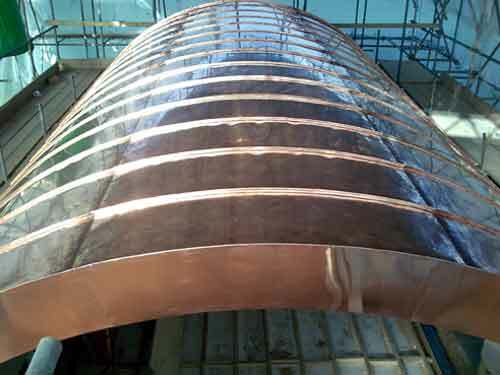 Cladding has similar importance in protecting a building from the elements and so copper, stainless steel, aluminium and zinc are highly suitable materials for this application. 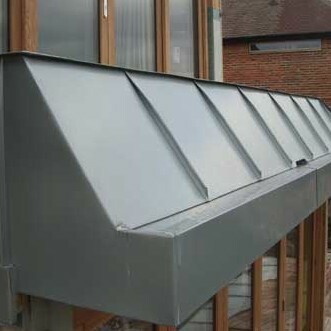 We install a lot of zinc, copper, aluminium and stainless steel roofs in Kent, Sussex, Surrey and parts of London. 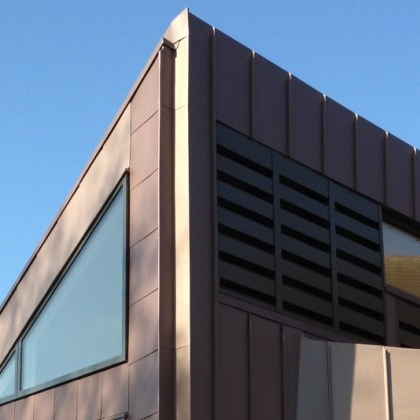 We install standing seam and flat-lock cladding and interlocking panels in zinc, copper, aluminium and stainless steel. We are based in Canterbury, Kent and work mainly across Sussex, Kent, Surrey and parts of London. If you are looking for a top-quality, professional and reliable roofing company specialising in copper, stainless steel, aluminium and zinc roofing and cladding then please contact us. Very pleased with Metal Roof Ltd. They made very sensible suggestions to improve my initial design ideas. The zinc roof was completed quickly and very professionally. We are delighted with the final result. Thanks!